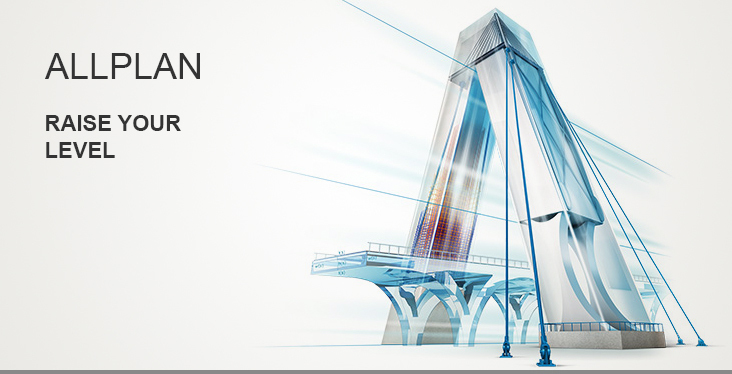 Allplan Engineering Civil is a powerful BIM tool that is optimized to the work processes of construction engineers within infrastructure construction. Due to a direct connection to the cloud-based BIM platform Allplan Bimplus, Allplan Engineering Civil is a complete BIM solution (up to BIM level 3). The software helps you to reduce planning and construction times and comply with cost frameworks. The basis is a virtual model from which shell and reinforcement plans are generated with sections, views and visualizations as well as quantity determinations and bending schedules. The model also serves as the basis for structural calculations. Allplan Engineering Civil simplifies and accelerates planning and construction, reduces sources of errors and leads to a better common understanding of all those involved in the project. BIM-aided design - build virtually first, then in reality. In this way, errors and conflicts are detected even during the design phase, and delays in the construction can be avoided. Modeling without limits - the powerful Parasolid modeling kernel from Siemens gives you greater freedom when creating 3D models while also increasing precision and performance.